Mr Fay has over 30 years of experience in the financial services sector. 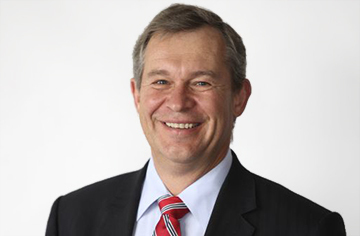 Mr Fay is a Non-executive Director of ASX listed Pendal Group Limited (ASX:PDL) and Spark Infrastructure Group (ASX:SKI) and was a Non-executive Director of Gateway Lifestyle Group (ASX:GTY) from 2015 to 2018. He is also a Non-executive Director of J O Hambro Capital Management Holdings Limited (the UK subsidiary of Pendal Group) and South Australian Power Networks. Mr Fay held a number of senior positions at Deutsche Asset Management (Australia) Limited including Chairman, Chief Executive Officer Australia, Regional Chief Investment Officer (CIO) Asia Pacific and CIO Australia. Mr Fay brings to the Board extensive experience in the investment and funds management industry (including the property asset classes) and Top 100 ASX listed entities where he has chaired both Remuneration and Nomination and Audit and Risk Committees. In addition, Andrew has relevant international experience, having been a CIO of the Asia Pacific region, a member of various global investment committees and a Director of a UK company which operates in the UK, Europe, Singapore and the United States. Mr Fay is Chairman of Cromwell's Nomination and Remuneration Committee and a member of Cromwell's Audit and Risk Committee.